What do you do with your old sneakers? I honestly do not know what happens to mine after I either throw them away or give them way. If we are serious about wanting to make our own contributions to helping the environment, here is a great – although a bit silly – idea that we may want to consider. At the Amsterdam International Fashion Week’s Green Fashion Competition, a new line of shoes won second place this year. 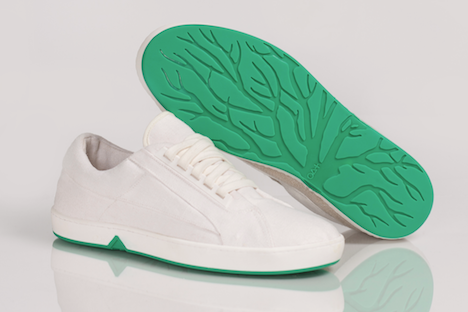 Dubbed OAT shoes, the sneakers can actually be planted when you’re tired of them – or when they give out, for that matter. 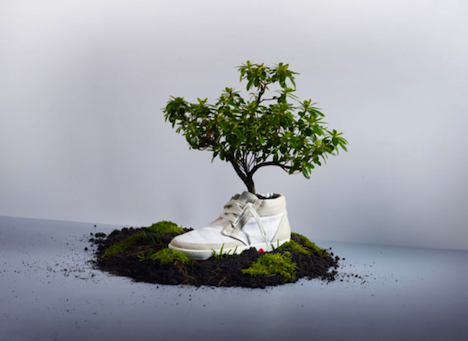 It can be argued that ANY pair of sneakers can be planted in the ground, but the OAT shoes are the first kind that “sprout”. Now, I don’t know about you, but when I read “sprout”, I think leaves and stems coming out of the ground. How exactly the shoes do that – I have no idea. The concept is pretty cool, though. Here’s the whole idea in a nutshell. I don’t know about you, but I doubt that any sneakers that I have used will look this fresh, though. 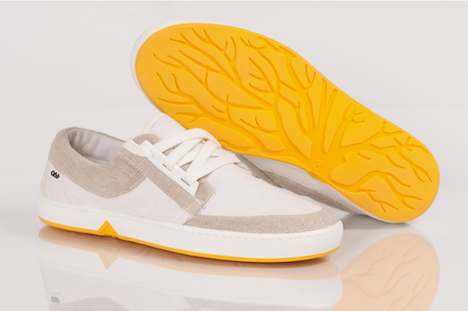 Here are two variations of the OAT shoes. Now I know I said that the shoes are cool, but there is no denying that the choice of model is anything but, is there? This is how they demoed the shoes. These shoes will be available this spring in stores in The Netherlands and Belgium, as well as online for those who are located elsewhere.